Love sees needs and shares resources. How lacking I am in this regard. Please forgive me and make me better. 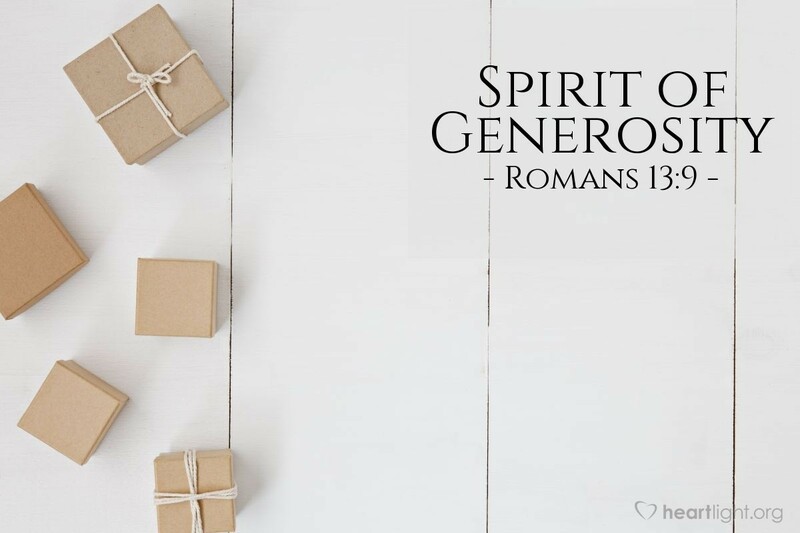 Give a spirit of generosity not only to me, but also to my wife, my children, and my whole extended family - also to my spiritual family, your church. Help all of us to be giving people, because you are a giving God. Move us to serve a needy world. I praise you and thank you for all your mercies. You are so bountiful in your gifts. I love you, good and gracious God. I love your Son. I love your Spirit. I love your people. I love the lost. My prayer is to love you and them more. In the name of Jesus and with the Spirit's help, I ask these things. Amen.